The Green Bay Packers have a magician in Defensive Co-ordinator Dom Capers. Capers uses a ridiculous number of personnel packages alongside exotic blitz concepts and disguises. He also gives his Defense multifaceted looks as it often occurs that one part of the field plays man-to-man coverage while the other side will be in zone. 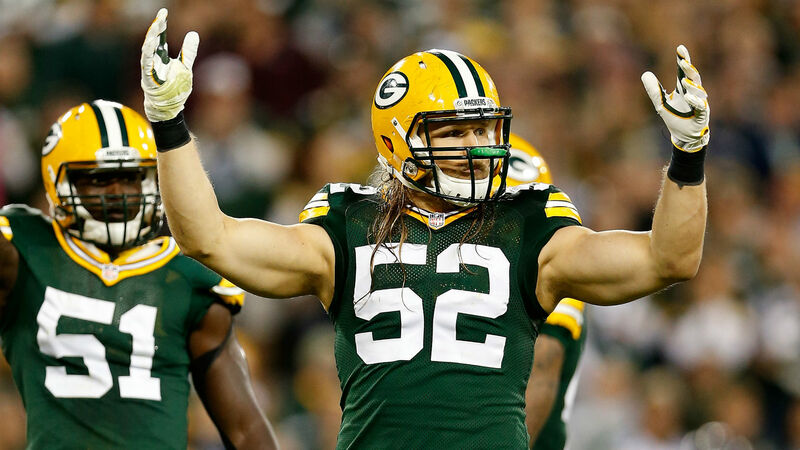 The Packers have a talented group headlined by Clay Matthews who it has been reported will return to Outside Linebacker in 2016. Matthews is an elite pass-rusher and the Packers also have other talented players in the Front Seven with Defensive Tackle/ End Mike Daniels and the Swiss army knife that is the 14-year veteran Julius Peppers. The Packers have historically boasted a tough front seven with strong Defensive Linemen in particular. Their early success in 1960s was spearheaded on Defense by 7x All-Pro DT Henry Jordan and 5x All-Pro DE Willie Davis. In the 1980s it was DE Ezra Johnson who had an unofficial 20.5 sack season in 1979 (A sack was not an official statistic until 1982). In the ‘90s it was 13x Pro-Bowler, 10x first team All-Pro DE Reggie White who the Packers signed during the 1993 free agency. In the ‘00s the Packers were led by the two Ends Aaron Kampman (58.0 sacks) and Kabeer Gbaja-Biamila (All time Packers sack leader, racking up 74.5 sacks in just eight years). Despite the retirement of Nose Tackle B. J. Raji this offseason, the Packers still have a strong D-Line and it all starts in the middle with Mike Daniels who transitioned in 2015 from Defensive End to Defensive Tackle. Daniels is a thick lineman with a high motor and one of the best bull rushes in the NFL. He is a big hitting tone setter who trash talkers Offensive linemen all day and plays aggressive play in play out as he wreaks havoc in the backfield whether its generating sacks, tackles for a loss or disrupting running lanes. Yet the Packers also have high hopes for Christian Ringo who is similar in build to Daniels and spent the entirety of his rookie campaign on the practice squad learning from Daniels. The Packers who gave the practice squad rookie a pay rise in Mid-November last year (following interest from other teams) hope that Ringo can appear for Green Bay in 2016 alongside Daniels who will most likely move back outside to End. 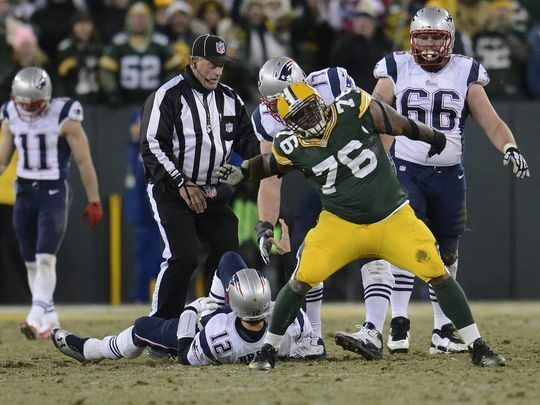 Nose Tackle Letroy Guion will have the task of replacing the void left by B. J. Raji. The Packers also took Kenny Clark, the Nose Tackle out of UCLA in the first round in this years draft, yet it is unclear whether he will play as his billed Nose Tackle or transition to become a 3 technique Defensive End (similar to Ringo and Daniels where they line up on the outside shoulder of a Guard rather than a Tackle). Clarke has a tonne of talent and is affective in the pass rush which could see him kicked outside to End as he will use his wrestling background to help fight blocks and tie up linemen in order to allow Packers Linebackers to get home to the QB. The Packers will also have Datone Jones and Mike Pennel in the rotation for their Defensive Line. The Packers have talented Linebackers and you don’t have to look much further than Clay Matthews who headlines the group and can play both inside and outside. While Clay Matthews has arguably the best hair in the NFL, he is also an elite pass rusher coming from the outside with an incredibly high motor and just flashes all over the football field. He was moved to the inside position in 2014 and helped sure up Green Bay’s run Defense. Green Bay were ranked 32nd in run Defense before Matthews was moved inside and subsequently jumped up to 5th following this move. The Packers also played Matthews Inside last year, however, in Green Bays 3-4 base D it is clear that the Packers could generate an elite pass-rush with the savvy veteran Julius Peppers and the explosive Matthews who would both come shooting round the corner or burst through lanes up the middle and hit opposing Quarterbacks. As previously mentioned Green Bay’s Defensive Co-ordinator Don Capers is a magician at disguising blitzes and one of his hallmark plays is the interior blitz which sees an ILB arrive late as they disguise a drop back into coverage before shooting through holes before any Guards or the Center have even looked back to see them coming through the middle. Matthews posted his second lowest sack total in his career in 2016 and the Packers will hope that they can find two solid options in the Middle with Jake Ryan, Sam Barrington or Nate Palmer being the most likely candidates. Palmer started 10 games in 2015 while Ryan started 5 in his rookie campaign. Sam Barrington was put on injured reserve last season after injuring himself in week 1, yet the Packers will hope that after dropping 10 pounds since this time last season that a leaner Barrington can re-find his aggressive style of play which was extremely promising in 2014 and had many Packers hoping he would take a huge step forward in 2015. Jake Ryan replaced Nate Palmer late in the 2015 season as the teams starting Inside Linebacker and Ryan will hope that if Matthews is kicked outside that he can reclaim his starting job alongside the returning Barrington. Ryan looked solid in his rookie campaign and although he does not have the potential to be an elite player, the Packers only need solid options inside who cans stop the run and play in coverage so that their two talented Outside Linebackers can go to work and generate an effective pass rush. Nick Perry also presents another option at ILB; however, he has struggled to stay healthy and has never gone over 4.0 sacks in a season. The Packers also drafted Blake Martinez in the 4th round this year and he is a talented ILB out of Stanford who after earning First Team All-Pac-12 honours in 2015 and has the potential to be extremely effective in run Defense. 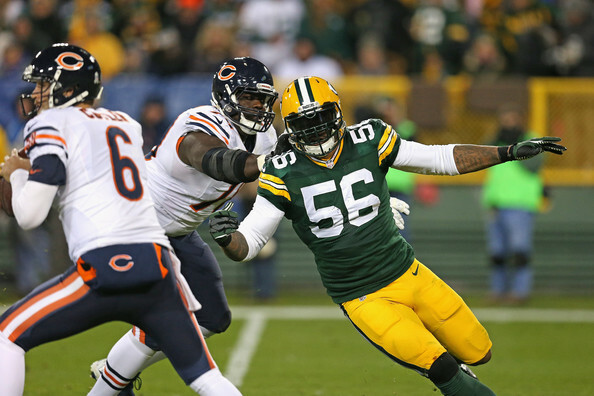 Julius Peppers is a Swiss army knife and at 36 years of age he showed no signs of slowing down as he earned his 9th Pro-Bowl nod in 2015. Peppers will be entering his 15th season in the NFL and can line-up anywhere along the Front-Seven and still wreak havoc. Despite his age, he can still line-up 70% of the time and give it his all every single play using a versatile repertoire that he has developed during his time in the league and proved in 2015 with his 10.5 sacks that he can still get it done and generate an elite pass rush round the edge as he still has enough gas left in the tank. If Green Bay do move Matthews to the Outside and have both Peppers and Clay bringing pressure in the pass rush then it will cause opposing Quarterback’s nightmares as they will be forced to throw the ball quickly and off balance which could lead to a number of turnovers for the Packers secondary. The Packers have the potential to have a top Secondary, however, Sam Shields is by far one of the most polarising Corners in the NFL. Packers Defensive Co-Ordinator Capers clearly has tremendous belief in Shields as he often travels with opposing no.1 receivers, yet Shields occasionally gets caught ball watching but has the recovery speed to make up for this. Shields is a speedster at Cornerback (he posted a 4.26 40 time) and is rarely ever beaten on deep balls in terms of a foot race. Shields has now progressed to beyond simply relying on his speed to hang with receivers as he has developed his technique throughout his years in the league, although he has still not started a full 16 games as a Pro and the Packers will hope that he can finally present a durable and consistent option as a no.1 Corner. The Packers have also hit on drafting Corners in recent years and despite the departure of Casey Hayward (slot Corner) to San Diego, the Packers with have competition amongst Quinten Rollins, Micah Hyde (who plays both Safety and Corner) or could even slide Damarious Randall inside for the open spot. The Packers have other rotational options, however, I imagine their 2015 1st round pick Damarious Randall despite an up-and-down rookie season will retain the starting no.2 job with both Goodson and Rollins competing to start in the nickel. One name to watch out for could be LaDarius Gunter who went undrafted in 2015 due to his poor 40 time, but has the length at 6 foot 2 to be an effective physical corner in zone coverage if Capers chooses the play Shields in man while Gunter in the zone. 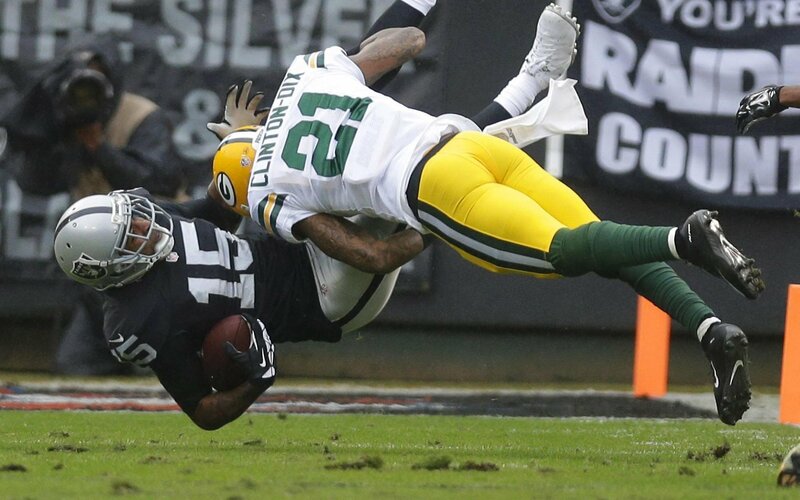 The Packers also possess a top-five young and extremely talented Safety in Ha Ha Clinton-Dix. Clinton-Dix was taken in the 1st round of the 2014 Draft and was a consensus All-American for Alabama in 2013. He is tall, rangy and plays the ball extremely well both in the air and the run game. Clinton-Dix was second in tackles for the team in his rookie campaign (74) and led the team in his sophomore year with 83 tackles. Clinton-Dix will earn his first Pro-Bowl in 2016 as a Free Safety will need to be a playmaker in the backend if the Packers are to challenge for a Super Bowl. Clinton-Dix will line up alongside a Strong Safety who brings a veteran head and experience to the meeting room as Morgan Burnett has been the Packers long term starter since 2011 and is effective both in run support and also in coverage. Defensive Co-Ordinator Dom Caper’s scheme is difficult to master and as such has the potential to turn Green Bay into an elite unit or overcomplicate matters and look ugly. The Front-Seven is loaded with talent and should help out the backend, however, the Secondary does possess playmakers who are able to stick with Receivers in coverage and their two safety’s can both come down and fill the box and contribute in stuffing the Run which allows them to cut loose their talented Outside Linebackers. While it may not be a top 3 unit, the Defense is strong enough to get Green Bay to the Super Bowl and if QB Aaron Rodgers finds his MVP-calibre form, it is clear that the Packers have a strong chance of winning a 5th Super Bowl. 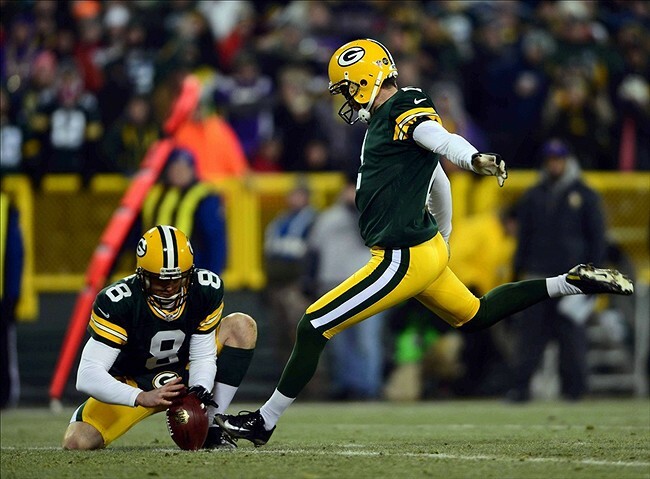 The Packers will have long-time Placekicker Mason Crosby nailed in as their week 1 starter. During Crosby’s 9 seasons in Green Bay he has a career Field Goal percentage of 79.7% although this is low due to his poor performance during his first few seasons and the 63.3% he posted in 2012. In the past 3 seasons Crosby has a 85.56% conversion rate with a career long of 56 yards. For the last six years Tim Masthay has punted for the Packers, however, they have brought in undrafted free agent Peter Mortell to push Masthay. If Mortell performs well then the Packers could go for the much cheaper undrafted rookie contract that Mortell would command. The Packers could have Micah Hyde returning as Punt Returner but if he sees an increase in snaps on Defense then the job could pass to sophomore receiver Trevor Davis. Hyde was also poor in punt return last season and was 30th in the NFL in average yards per punt return. Meanwhile Kick return duty should fall to Jeff Janis in 2016 as he ranked 11th in the League in 2015 as he averaged 24.8 yards per kick return. The Packers will benefit from having the NFL’s easiest schedule in 2016. The Packers play in the NFC North which is always a difficult division to judge. The Minnesota Vikings will always pose a difficult ask as they boast a strong Defense and the most dominant Running Back of his generation Adrian Peterson. They also have an emerging young Quarterback who now possesses a few weapons on Offence. The Detroit Lions and the Chicago Bears are historically difficult to judge. The Packers will have a difficult game in week 2 at Minnesota before an incredibly early week 4 bye. I am predicting the Packers to be 2-1 entering their week 4 bye with a loss at Minnesota in week 2. I have the Packers pencilled in at 12-4 with losses in week 9 vs. Indianapolis, week 13 vs. Houston and week 15 at Chicago. I believe the Packers will win the NFC North and as long as they can stay healthy, they should be posed for a Super Bowl run in 2016. The Packers boast the best Quarterback in the NFL and a top 3 Offensive Line unit. They also have numerous playmakers at receiver and will be hoping that Eddie Lacy can put 2015 behind him and re-find his 2013 and 2014 weight and form. The Packers have an incredibly talented and innovative Defensive Co-ordinator who when his multifaceted Defense pays off, has a unit that looks unstoppable. They have talented players on Defense in LB Clay Matthews, LB/ DE Julius Peppers, DT/DE Mike Daniels, FS Ha-Ha Clinton-Dix and CB Sam Shields. It is clear that Green Bay has enough talent on the roster to win a Super Bowl in 2016 yet it will ultimately come down to whether or not the Packers can stay healthy. With an incredibly early bye in week 4 the Packers will be hard pressed to fight off injuries throughout the season. The Packers do have history on their side as they managed to win a Super Bowl in 2010 season with 15 players on Injured Reserve. Is it too early to discount double check?